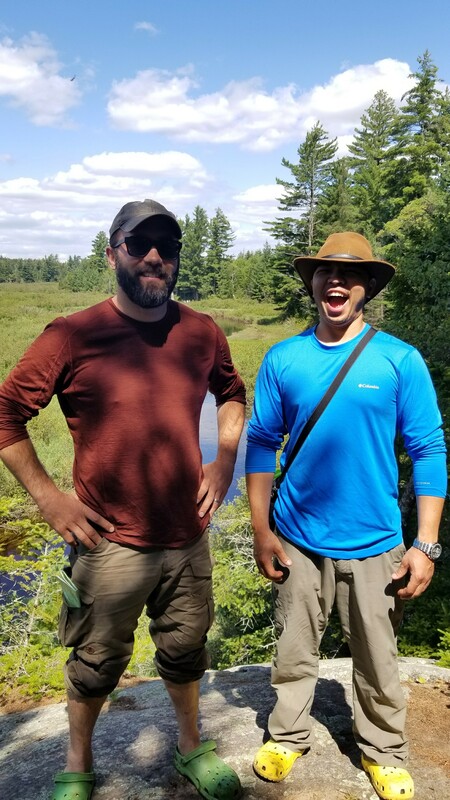 My friend friend Ron and I stepped out of the truck, ready to see the place called Bog River Flow within the Adirondack Wilderness area. We unstrapped the canoe excited to paddle out and enjoy the day. 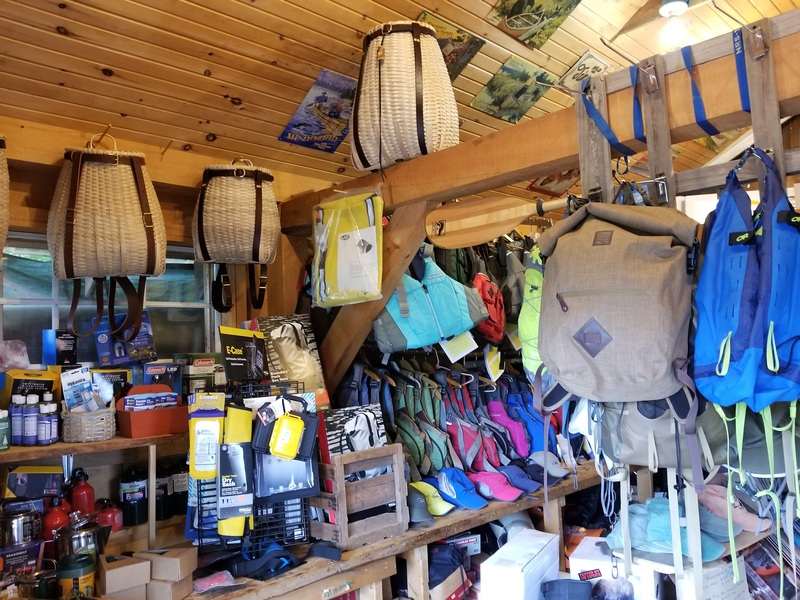 Our waterproof Sealine bags were packed with hammock camping gear, fishing tackle, an axe, knife and other necessities for wanting to smooth it on a backcountry adventure. 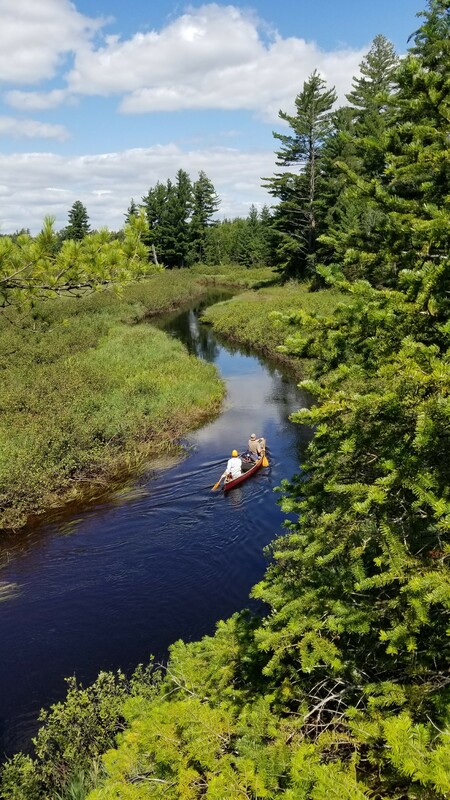 Beyond the flow and Low’s Lake at the end of the Bog River Flow was a portage that led to the headwaters of the Oswagatchie River all in all referred to as the Oswagatchie Traverse. 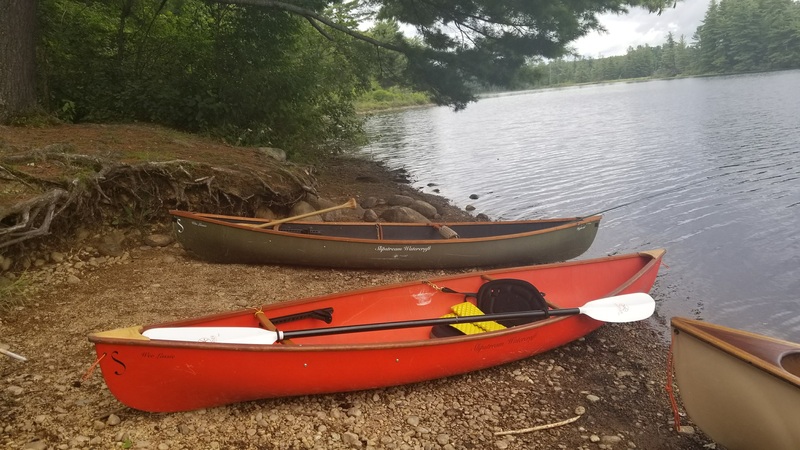 We dropped my keys off 9am with Anne at Raquette River Outfitters and signed paperwork for them to shuttle the vehicle from Low’s Lower Dam to Inlet. 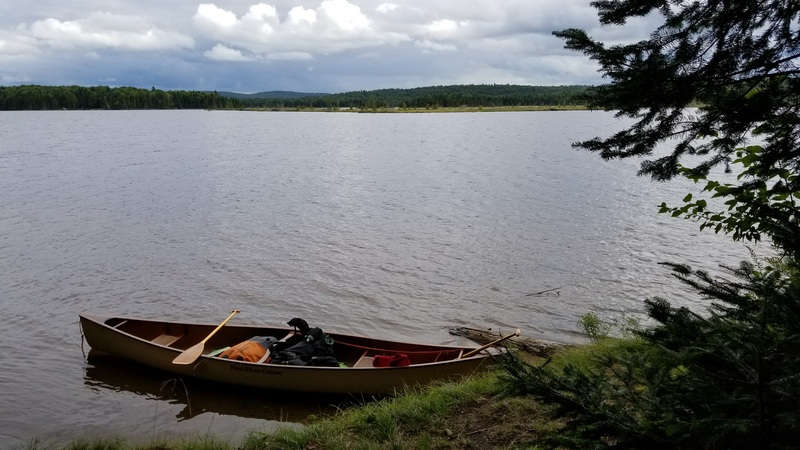 After admiring the beautiful shop of gear n goodies and fleet of boats we drove the 20 minutes past the free sites along the south shore of Horseshoe Lake and on to Lows Lower Dam to begin the paddle on Bog River Flow. The flow meanders for 3 beautiful miles or an hour or so through curves where one must watch the current to stay out of the slow go zone of aquatic vegetation. It works its way to Hitchens Pond where a juvenile bald eagle squawked at us as if to proclaim ownership over the pond. At the far end of the pond is the short portage over Lows Upper Dam. 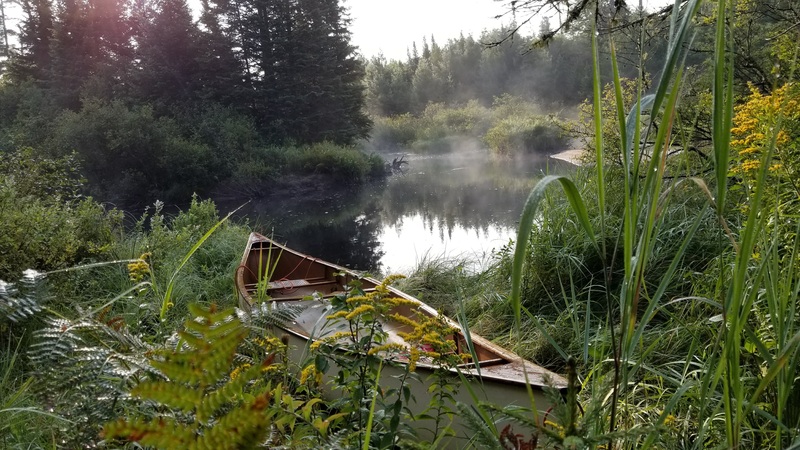 Once beyond the upper dam the curves cease and the paddle begins in earnest 13+ miles to the end of the flow beyond the floating bog at Lows Lake or for us the end was the north west bay known as Grassy Pond where we had planned to end night one. We made a few stops along the way to check out the sights like this Northern Toothed Fungi (Climacodon septentrionalis) and consider its edibility. 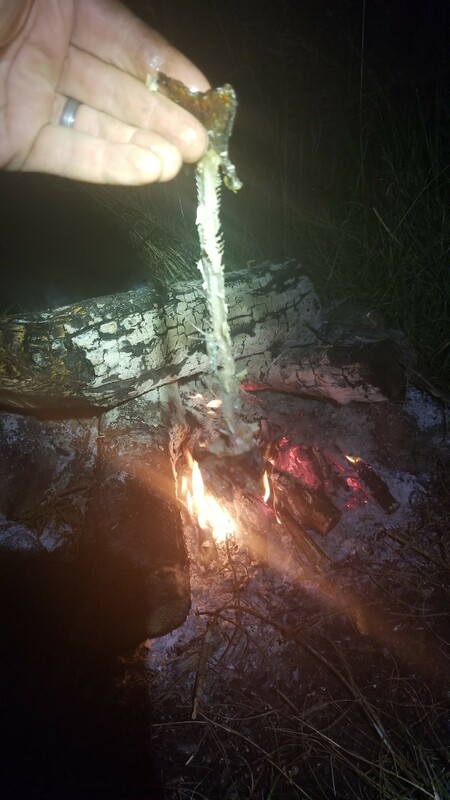 Better not though, maybe a wilderness canoe trip isn’t the best time to try a new to me fungus. We also had to scoot left around two bogs before getting out towards Lows Lake. 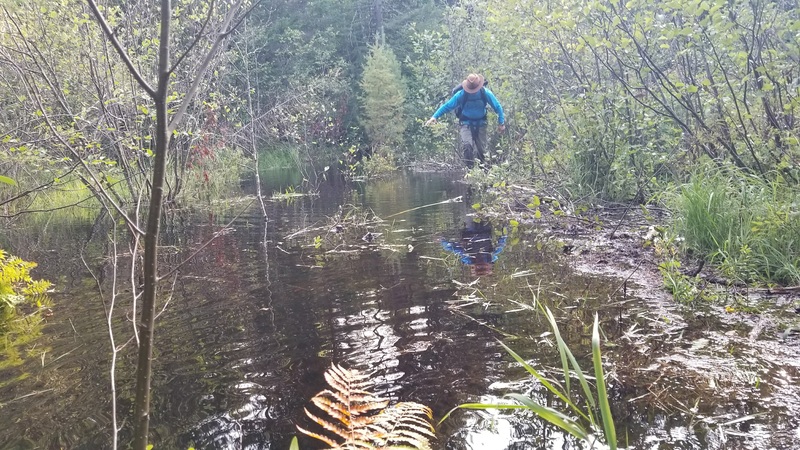 Stepping on the bog was like walking on a trampoline covered in pitcher plants, spider webs and frogs. 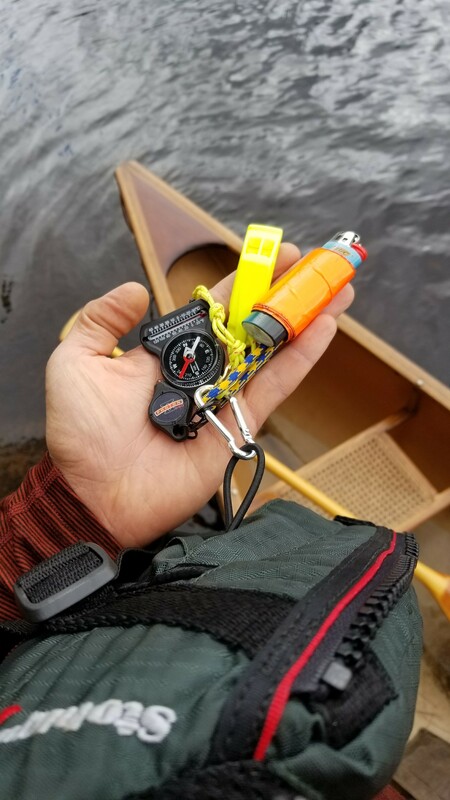 I recently picked up a new life jacket and clipped a few items inside. These are items that stay put and act as doubles in my kit but should I get separated from the boat and gear. Included: Lighter wrapped in ducktape, flashlight, whistle, compass, thermometer and of course the life jacket itself which I do my best to actually wear. One of the upgrades recently added was a proper whistle as my pea whistle wouldn’t work efficiently when wet. I tried it in my sink and yes the old referee type whistles would be all but useless when soaked. 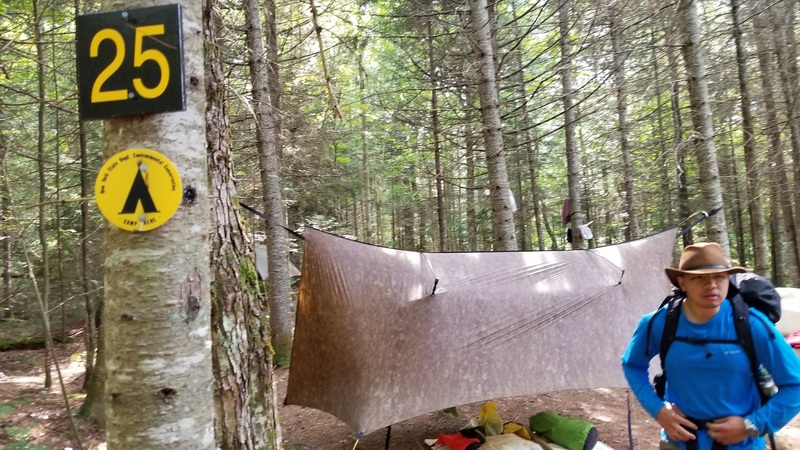 We stopped to check out a few campsites along the way. I had multiple sites in mind from recommendations found here and there but we ended up with an unmentioned site, #32, and I here proclaim it to be the best around. 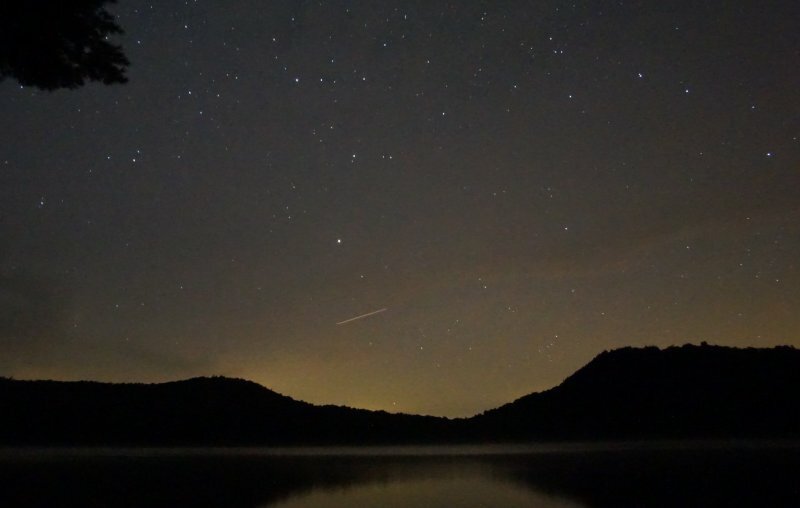 It was nestled at the base of the cliffs (seen in the background of the picture above) and in a pine grove overlooking the pond. While it didn’t offer a view of the sunset that was ok as we prefer to be fishing during that magic hour anyway and the view over the bow of a canoe is indisputably the best way to see the sun rise and fall (well maybe from a hammock). 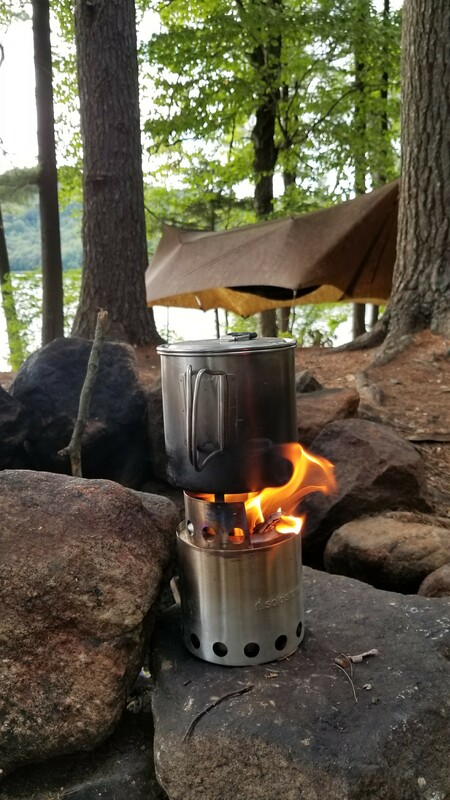 We setup camp for the evening, made some quick soup with the solo stove, caught and released a bass on a kastmaster, watched the loons dance and sing, cooked some brats and knorr rice, watched the stars and took sleep in our hammocks. 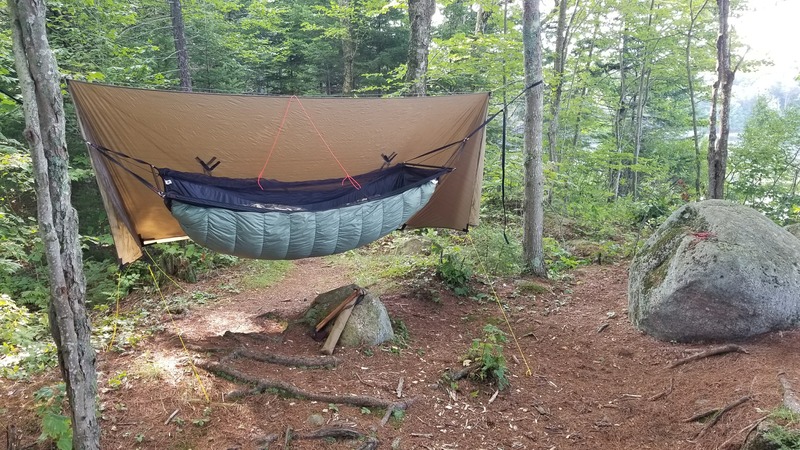 Ron was in his Warbonnet Blackbird with the wind sock and Superfly tarp while I was in my JacksrBetter Bear Mountain Bridge with a Superfly tarp. 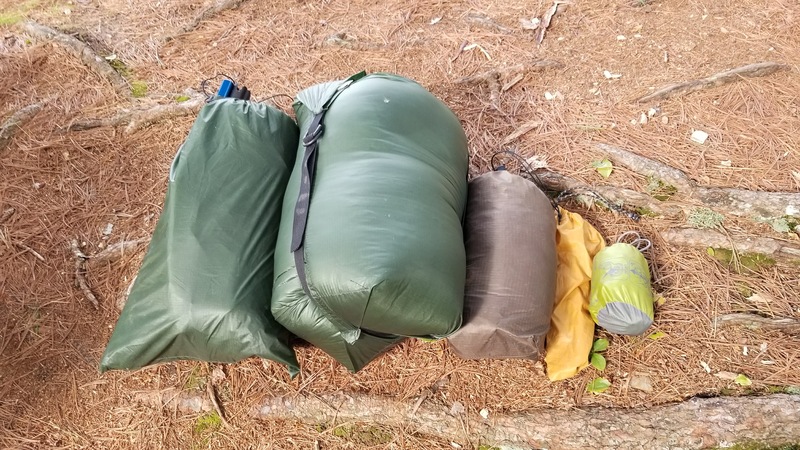 I brought along my 0f under quilt and top quilt and was glad to have them as the temps dipped to about 36f. 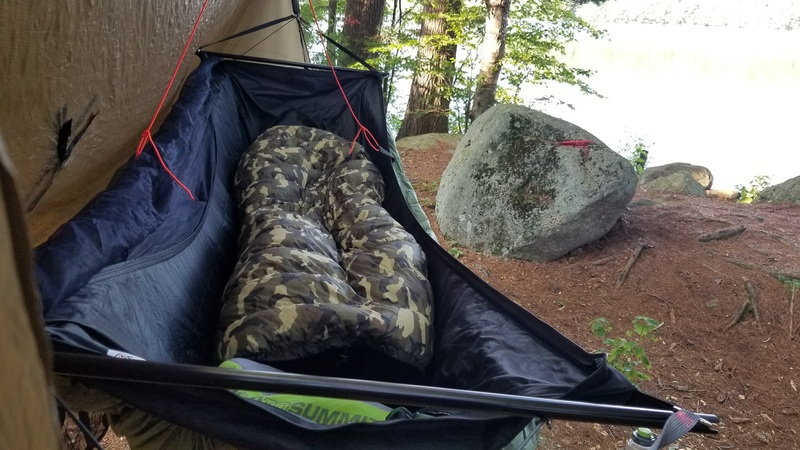 The weight is negligible and the comfort is appreciated so I always pack for lower temps. Temp ratings sure vary anyway per the person, wind, humidity and wear n tear of use. If you are looking for the best quality and coolest color combos check out Loco Libre. I’ve been impressed and have only heard positive things. We had a mix of knives and axes including a Mora Classic, Adventure Sworn Classic, Gransfors Hunters Axe, Swiss Army Farmer and two buck saws. As a result wood processing and fish cleaning was an easy task. That night we rested well from a long first day that started with a 1am take off from New Jersey and a 4:30am stop for a nap at the Warrensberg McDonalds. So day two began after a good nights sleep at around 9am. 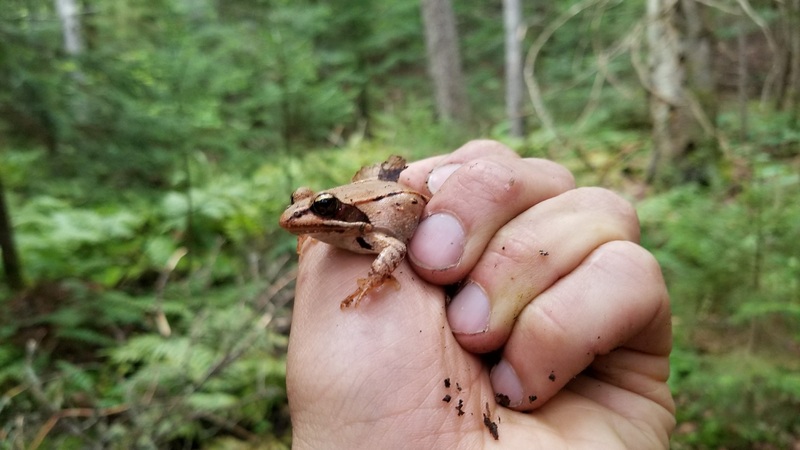 The day looked perfect with 65F high forecasted, mild overcast skies and minimal bugs except a few along the portage trail. 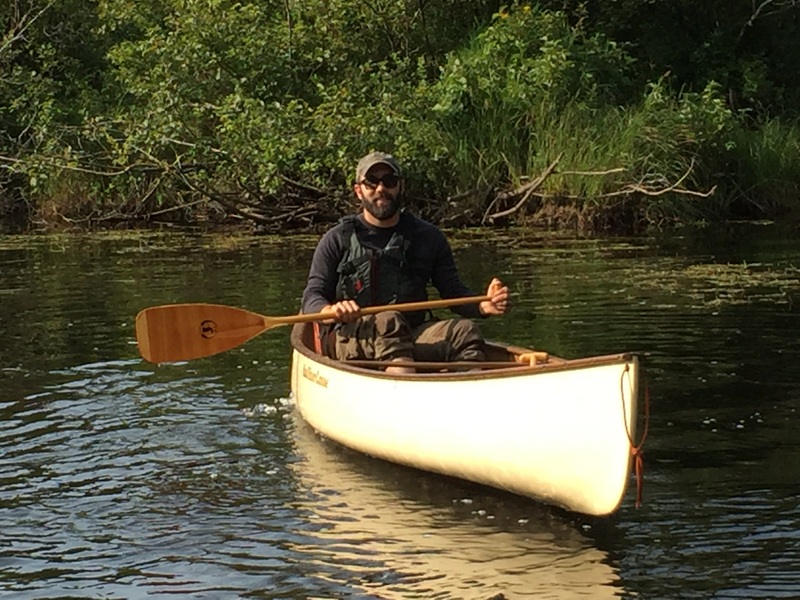 We paddled from Grassy Pond to Site #1 and began our .8 mile portage to Big Deer Pond. The portage trail was well marked and clear along the way. 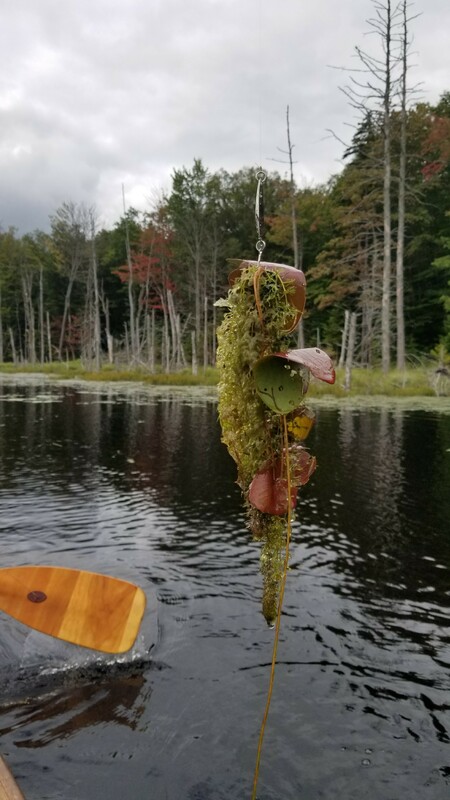 The put in at Big Deer Pond was choked with Purple pickerel weed and pond shield plants. The pond was pretty and full of loons but lousy with aquatic plants at this point in the late summer. 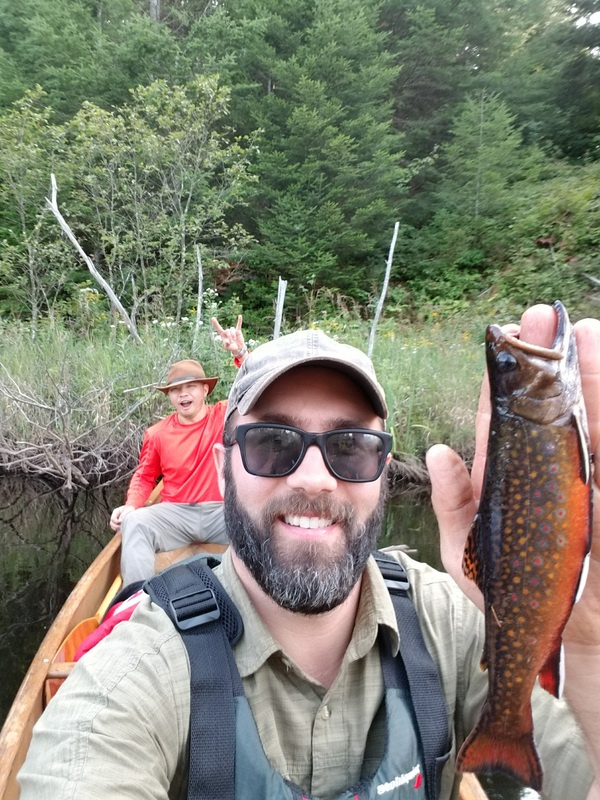 Our casting along the way didn’t produce anything other than snags and surprisingly a tadpole that must have hitched a ride and got lifted into the boat. 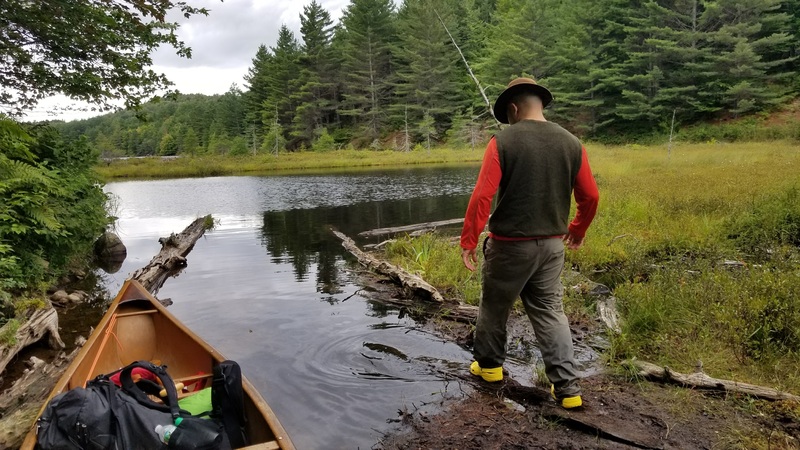 After paddling across Big Deer Pond we were set to begin our 2.2 mile portage to the headwaters of the Oswagatchie River. I had built this trip up in my mind many times while thinking to the future outing. 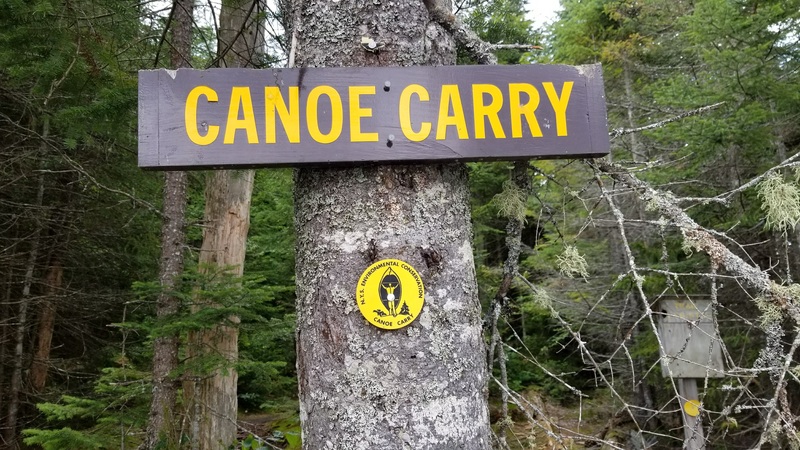 It may sound like a lot of portage but the reality was the trail had minimal elevation change and just continued with undulating ground like that of a golf course. To make matters even easier my paddling partner Ron insisted on carrying the canoe for a portion of the trail and so we switched off and tackled the portage together in one carry completed in about an hours time. 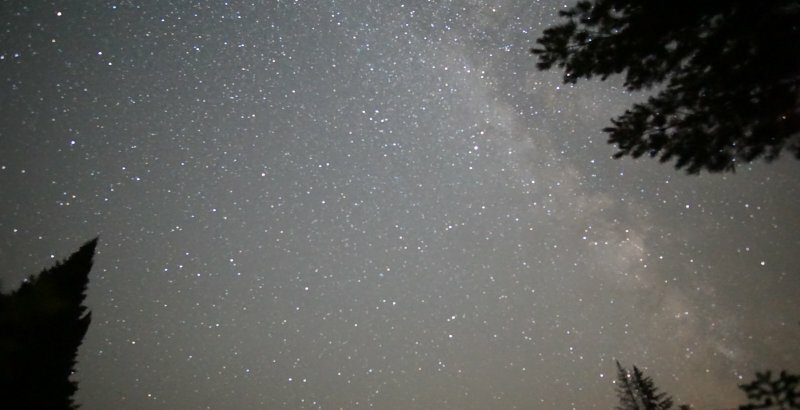 It being late August the bugs were minimal so long as we didn’t stop in one place too long. 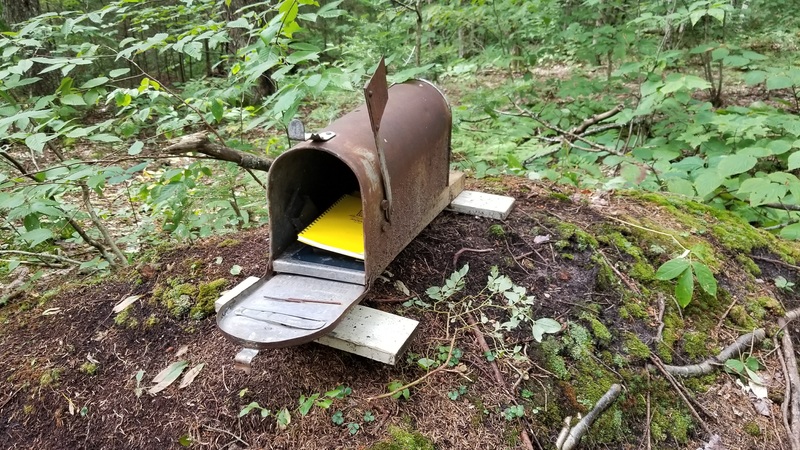 About half way was an old mail box with a registration notebook inside. 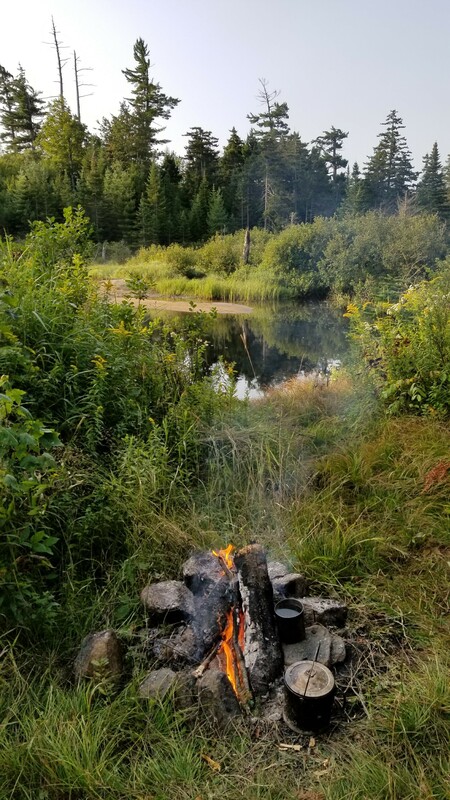 We signed in and took a moment to relax and make a few tenkara casts on a tiny little beaver puddle that had a few small fish that nipped the fly but didn’t hold. 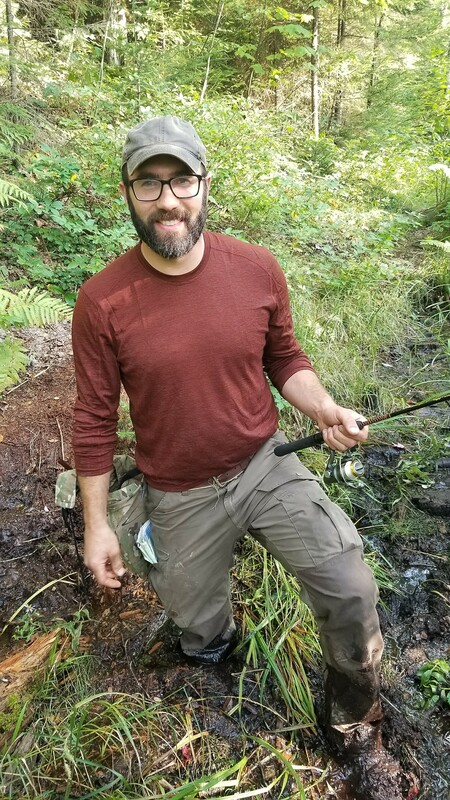 Prior to the trip, I had reached out to my friend Snapper whom is an experienced Adriondack Traveler should he have any notes on his experience to share. 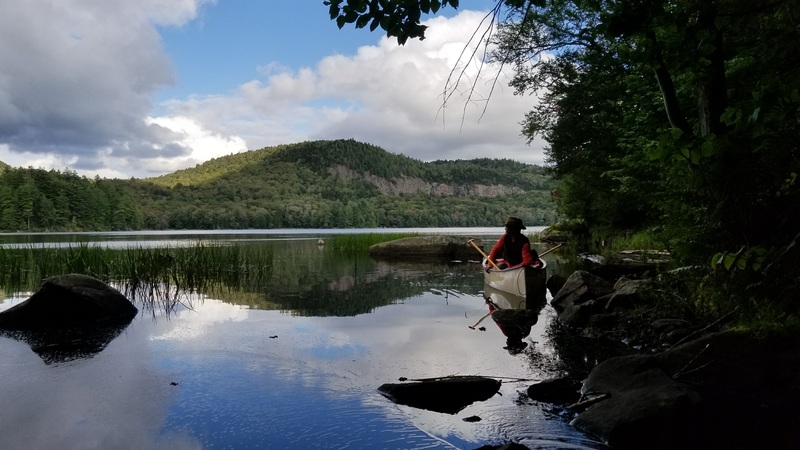 He made mention of canoe rest rack half way down the portage and how it was an unusual site in the Adirondacks. We did not see it so maybe it has gone the way of time. Guess no “sissy bar” remains in these parts. Now the headwaters is the destination. 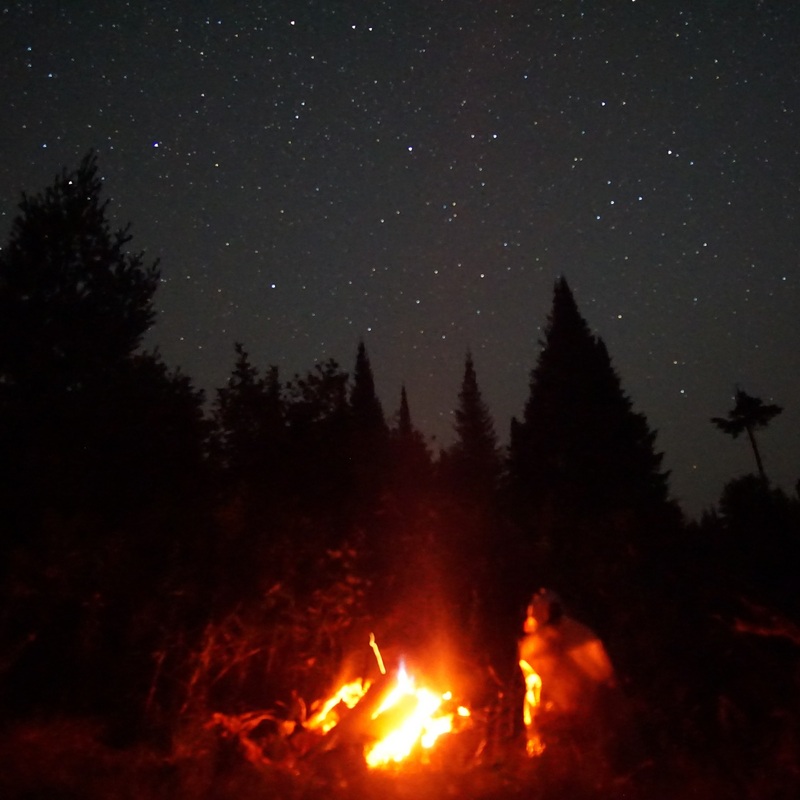 It’s all to be enjoyed but the headwaters was where the deeper wilderness was truly at. 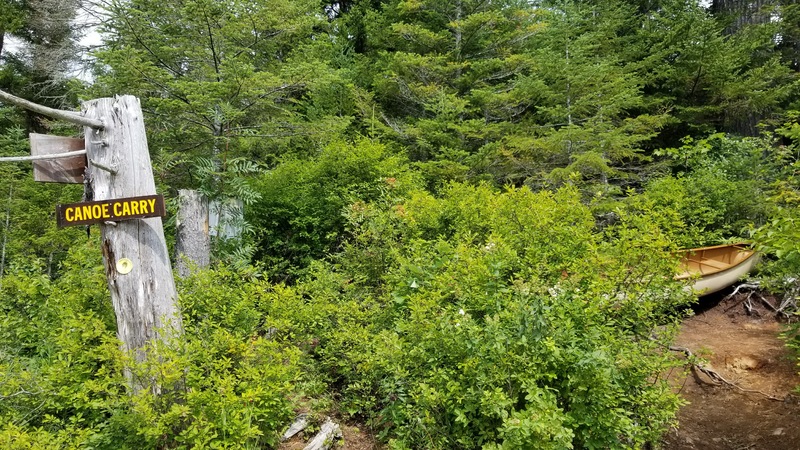 At the opening at the end of the portage trail you look out on a beautiful open scene where the river snakes through joe-pye weed, elderberry, goldenrod, alder, service berry and many other beautiful native plant species before a background of spruce, hemlock and pine. (must have filmed a bit of it but no picture). At the put-in on the left is a bubbling spring of ice cold water that is viable as long as water levels are not far above average. We began our paddle down the Oswagatchie and through or up and over the many beaver dams. Each curve in this upper section held its own backwater and pool of gorgeous trout. 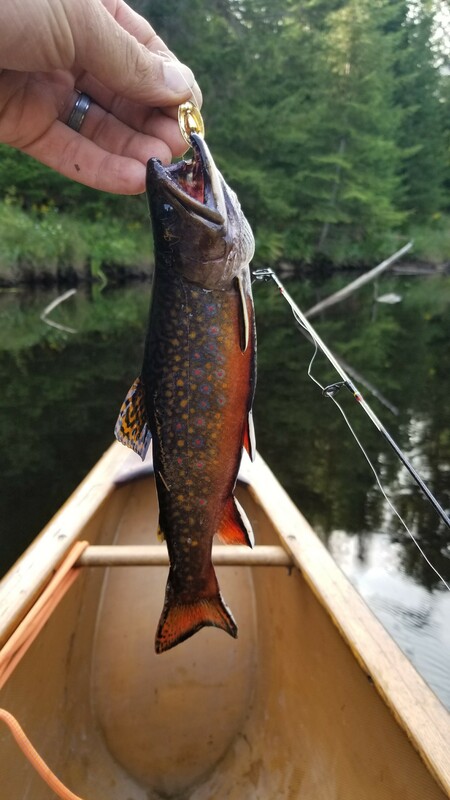 Not trophy trout in size but surly in color, pattern and fashion….and taste. 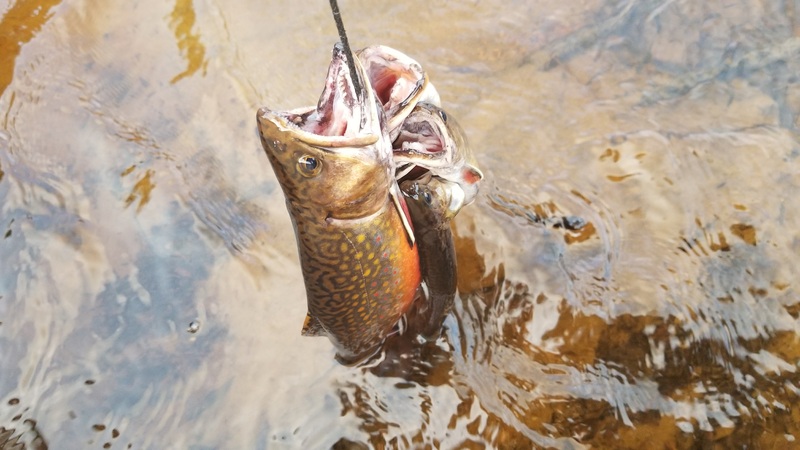 The Brookies hit on a mix of lures including chartreuse rooster tails, gold and silver kastmasters and old school mepps and bucktail spinners that I recently picked up from an ol tackle box at a garage sale. 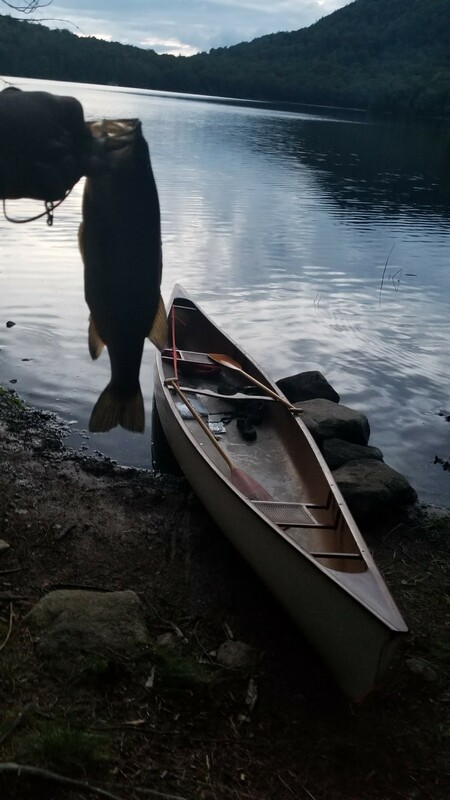 They mostly hit on the drop as long as you didn’t spook them although some followed and hit especially after we added a soft plastic minnow/grub on one of the hooks to add even more action. I did try a little tenkara here and there but did not have any results and the fish had no interest in top water. We ate well that night. 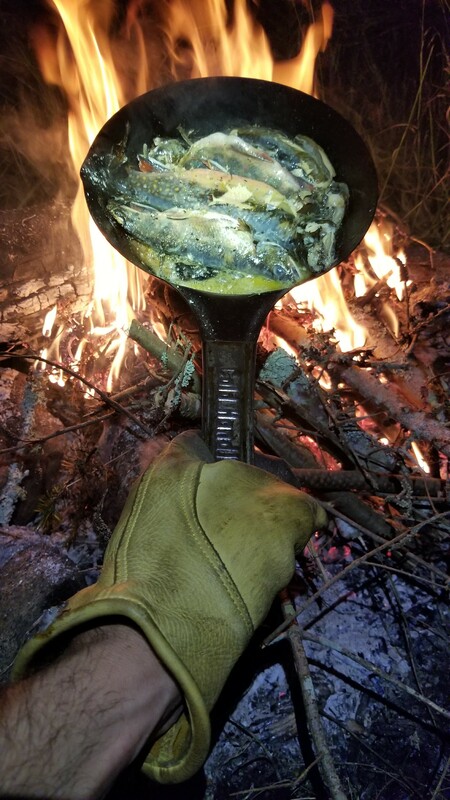 Trout fried in kerry butter with adobo cooked in the cold steel fry pan. Served with a side of knorr rice. We fought over who got to eat the jowels and cleaned em down to the bone Garfield style. 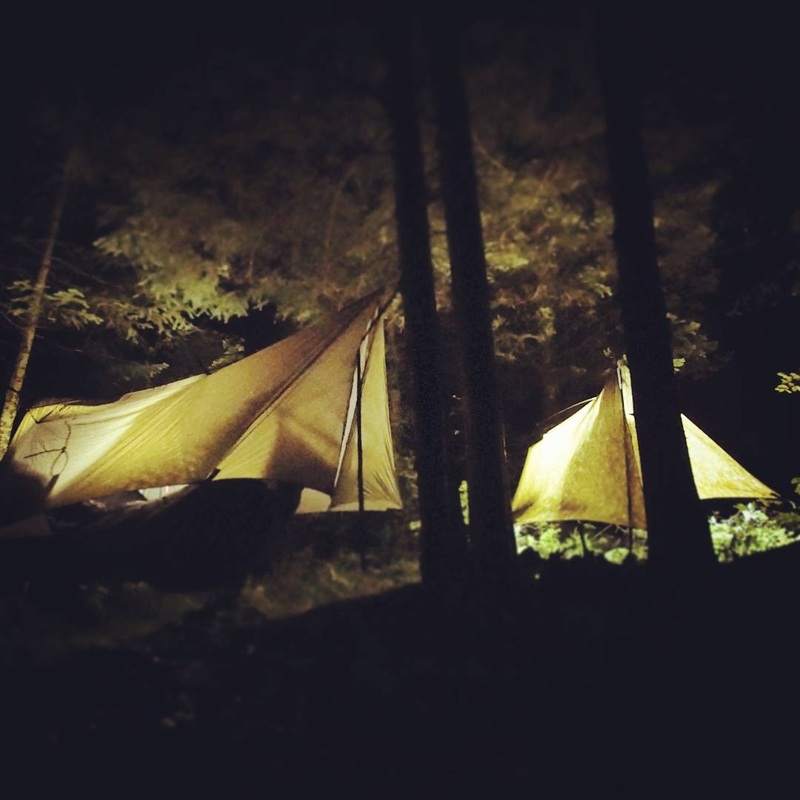 We enjoyed the evening feeling great after a big day of wilderness travel. 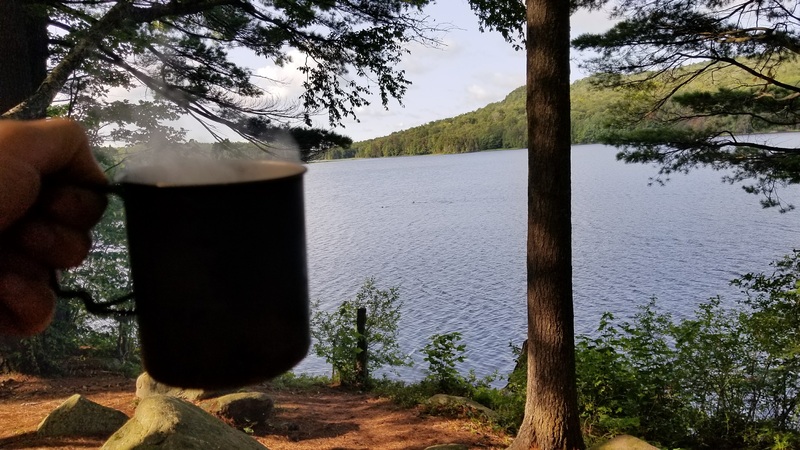 and woke the next morning ready for another full day on the Oswagatchie River. Day 3 continued with a bit more paddling on the Upper Oswagatchie above High Falls. 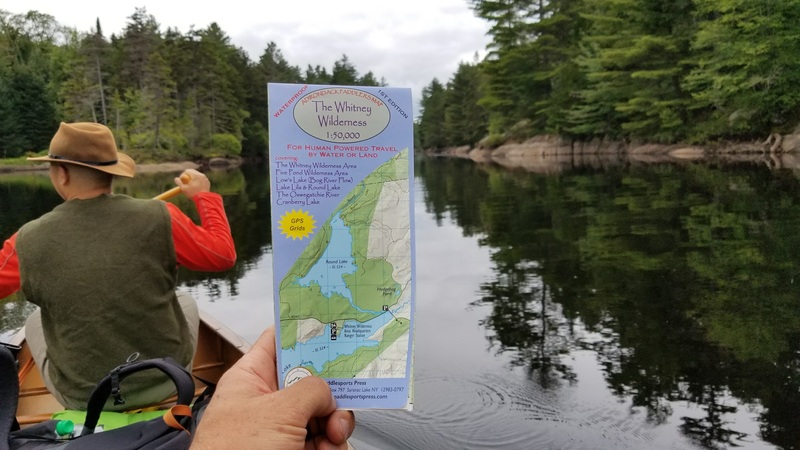 as we continued down river the water seemed to darken with every stroke and as it turns out Oswagatchie reportedly means “Black water” in the aboriginal language. 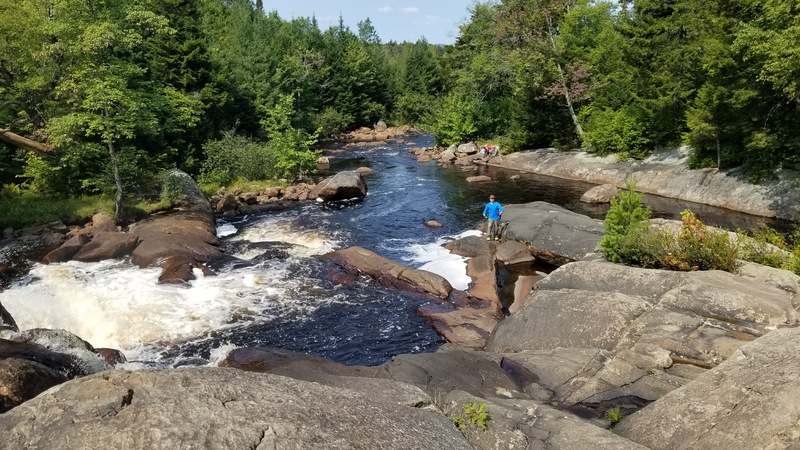 We made it to High Falls and considered staying put for a moment but I had wanted to get a bit more paddling in to make the paddle out easier and also had plans to camp around site #25 so we could hike into the Five Ponds Wilderness. So we decided to make some PB wraps and portage past the falls. Well that was the plan and I’m cleaning up our garage sale as to not clutter the portage and chatting with the first folks we’ve seen in awhile and here my pal @pilsburythrowboy12 is supposed to be making us these PB wraps and helping with the portage down below the falls but turns out he sneaks away with my rod and newly tied on old school mepps bucktail spinner and casts into the deep pool below. Screaming like a maniac for me and I don’t yet know why. I thought he had been swept down the falls. 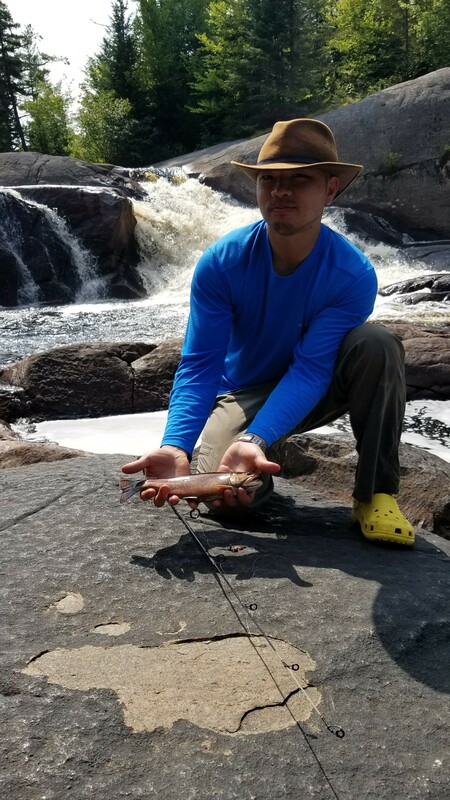 Cause of death.. he slipped in his yellow crocs but instead he had hooked into a healthy trout on cast #1. This fish appeared much much bigger in real life. True story. I swear it. It wouldn’t have fit in the fry pan without doing some fish yoga. He had hollered wanting me to get a stringer to keep this trout fresh for dinner. So after much bickering about who should get a stringer and who should fish, I ran back up the falls and on my way back down watched as someone, no names, decided to give the fish a little oxygen…well the fish got a little too much oxygen ..slipped away into the black waters and went and told all his trout friends what happened and there after not so much as a look did we get from a trout the rest of the day. 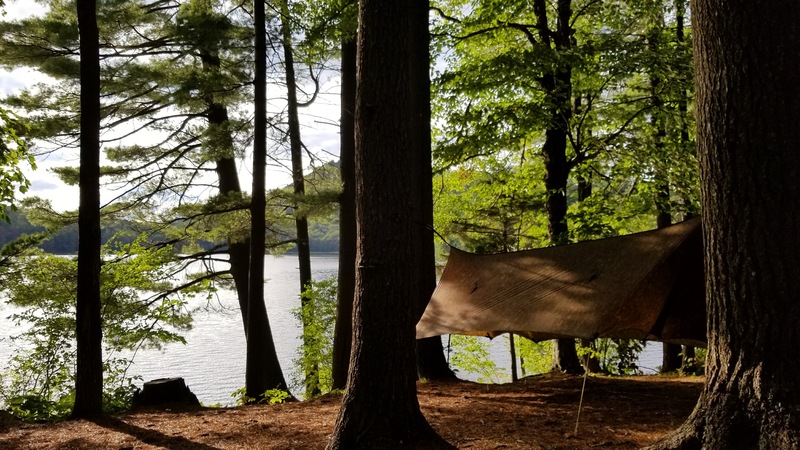 Well, we made it down to site #25 which had a few choice trees on which we could hang our hammocks and walked over to check out the natural spring behind site #23 that was gurgling out of the hillside. 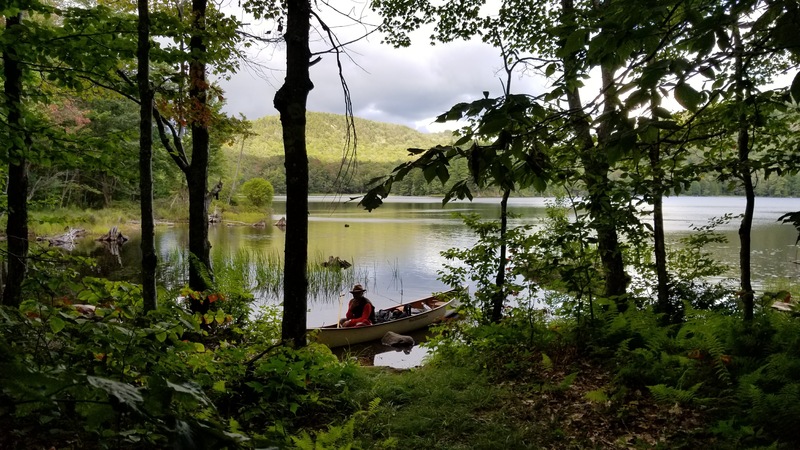 and we took a hike on the trail behind the sites to check out the Five Ponds Wilderness Area and made it over to Big Shallow Pond. Shallow it was but the hike sure was pretty and we needed the exercise after all the rice the camp chef was force feeding us. It was terribly muddy in spots and included some crossings along beaver dams that added some adventure to an otherwise beautiful peaceful forest walk. 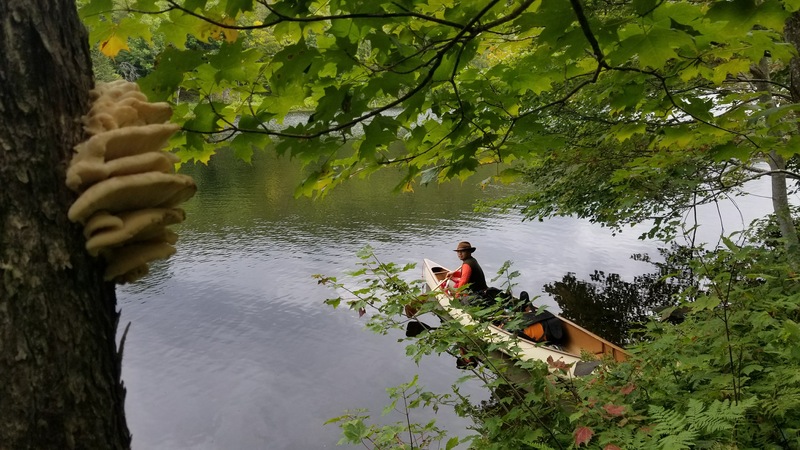 We slept well again with cold comfortable temps at night and not much left on the agenda other than paddling out past High Rock to Inlet where our car had been shuttled to. Well about 11am just before High Rock we had the pleasure of watching a black bear swim across the river 30 feet ahead of our canoe. Without so much as a glance at us it just kept moving. High Rock was a terrific stop with a beautiful overlook of the river. there were very few people out that Sunday but those that were seemed to gather round for a moments time and just share in the appreciation of all the beauty we were surrounded with. Many thanks to my friend Ron for joining me on the trip. I like to research and set a trip plan and tackle as much of the life of it as possible. It’s good to have a tripping partner full of positive spirit, energy, know-how and ability to get things done. Together we’ve camped at Harriman, Cedar River Flow, St. Regis, Pharaoh and I’ve got more trips planned so just getting started. The car was in the lot at Inlet and started right up. We had our gear packed and got on the road in no time with a 5+ hours drive home and work the next day. 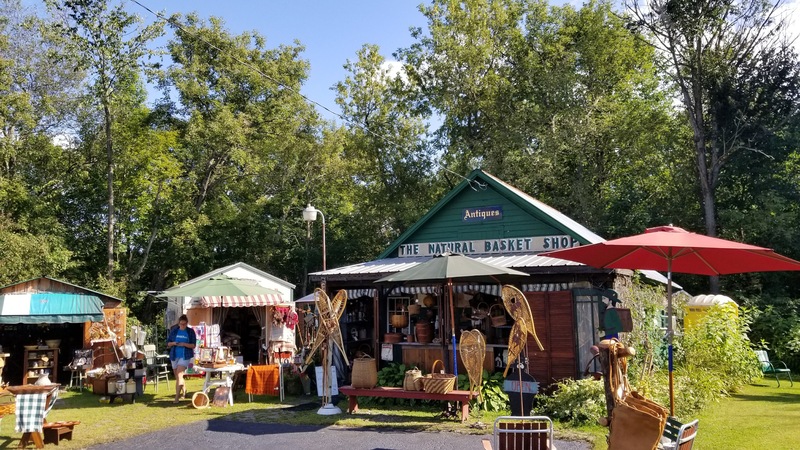 On the way home we pulled over to check out “The Natural Basket Shop” and were quite impressed by the mix of authentic north woods items around. The owner Yvonne sure knew what she was doing, it wasn’t chotsky but real items. I picked up a pair of Woolrich red plaid pants for 15$ and large Faber snow shoes with leather binding $69 and two small cold handle style pans for $2 each. All of which I’m excited to use this winter just as if I purchased them new from a catalog 40 years ago. If you made it this far many thanks for following to the end. 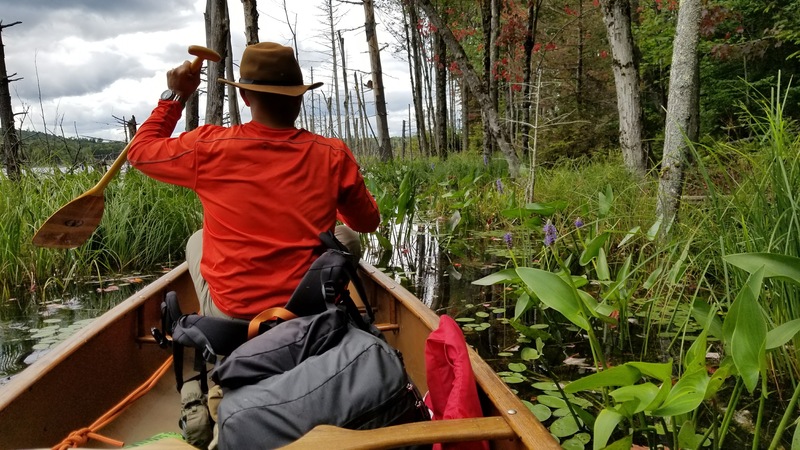 Hope this trip report helps if you are here researching the same paddle trip or motivates you to get outside on another one. 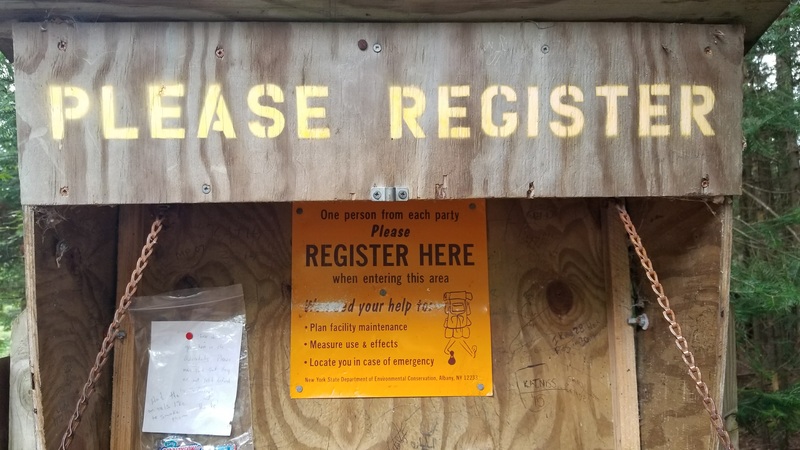 Next Foraging New Jersey – Late Summer Mushrooms! Awesome. The other Korean Pizza dude! Hope your livin good and getting that slipstream on the water.